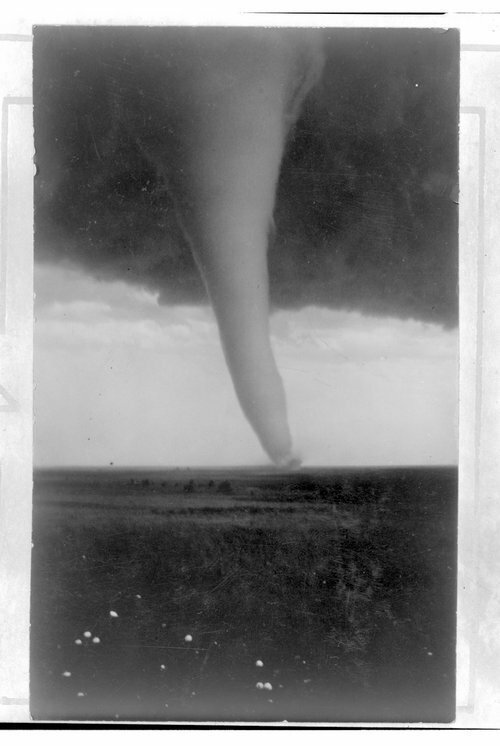 This black and white photograph, taken at 4:30 p.m., shows a tornado moving over Hardtner, Kansas. In the foreground hail stones are visible. The Hardtner Press describe the tornado "as a big gray elephant or sausage balloon strung across town with one end in the cloud and the other switching around in a cloud of dust on the ground."